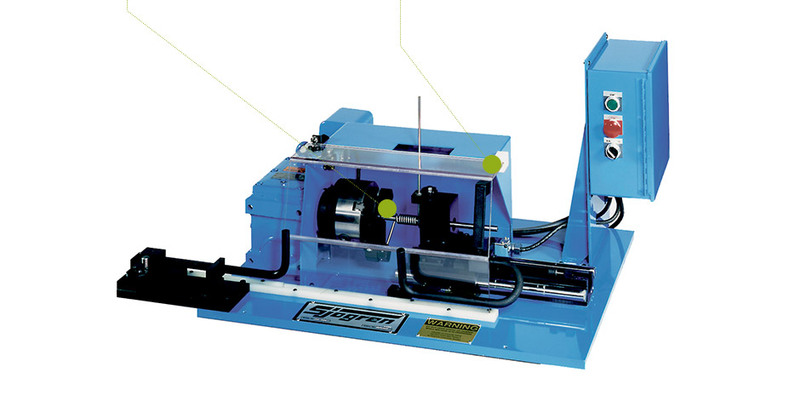 The Bench Top Wrap Tester is used to test spring wire for ductility, or to test the adhesion of metallic coatings. It accommodates wire diameters from 1,2mm to 9,5mm (.050″ to .375″), and features an interlocked guard to ensure operator safety. Meets American Wire Producers Association steel products testing specifications.